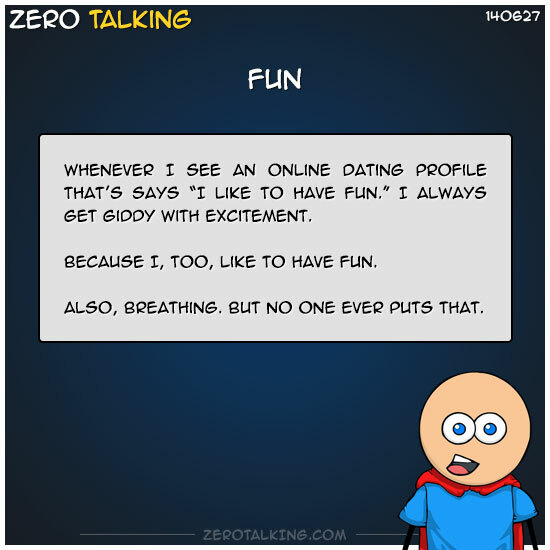 Whenever I see an online dating profile that’s says “I like to have fun.” I always get giddy with excitement. Because I, too, like to have fun. Also, breathing. But no one ever puts that.